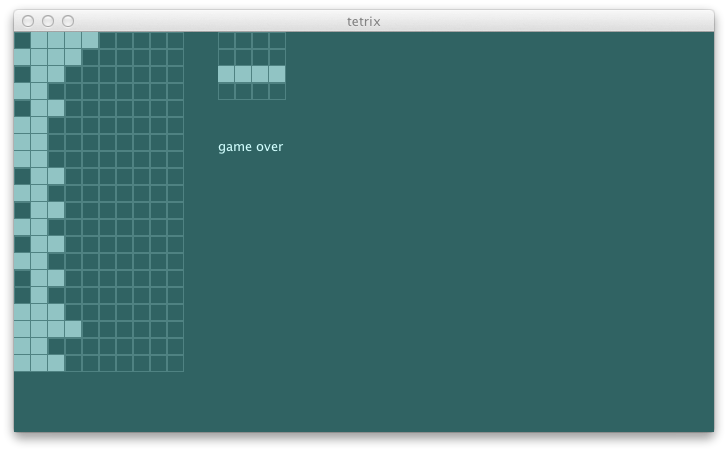 tetrix in Scala — it’s alive! Because the search tree is too shallow it never actually reach a point where utility actually kicks in. By default it’s picking MoveLeft. The first option is to deepen the search tree to more moves. We need eventually need that, but ultimately it’s not going to solve the entire problem. First, remember, the number of nodes grows exponentially. Second, we only know about two pieces for sure.